Cielo - Coal Harbour Modern Condo tower - Developed in 2007 by Delta Land Group - This building stands out for its sharp lines, big views, large layouts, big balconies, and semi-waterside location. Also included is a sky-amenities centre with a gym, outdoor hot tub and rooftop patio. Stunning views of the Harbour and Stanley park. 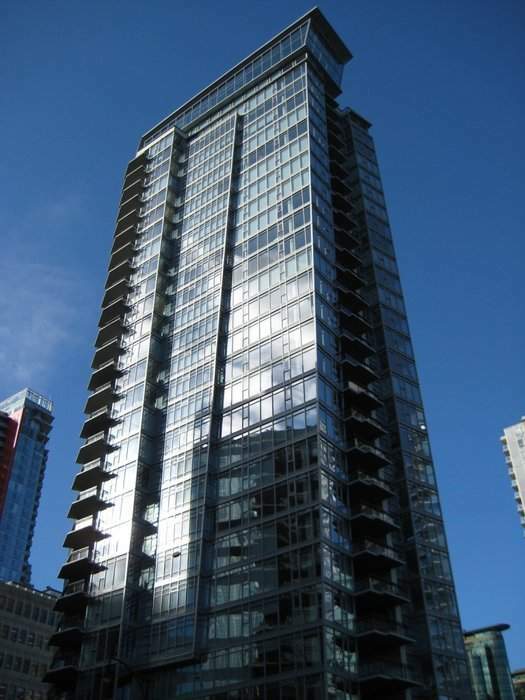 Located across the street from Harbour Green park and the Coal Harbour seawall. Cielo also offers great prices for arugabbly Coal Harbour's best location.